"... one of the absolute top-notch versions I have yet to encounter. The playing is gorgeous, glowing and glorious. 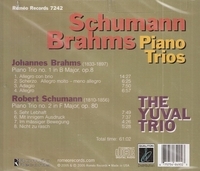 Highly recommended for an outstanding Brahms and for some of the finest chamber music playing to be had on disc."